This is a great booklet to use with a calendar study unit or to use throughout the year. 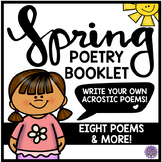 Each poem is on it own page and includes a correlating coloring picture. 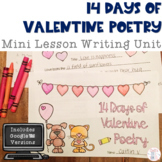 There are so many fun ways to use these poems in your classroom and students love the silly rhymes! In this project, students create a poetry booklet of poems from well-known poets with a one-page biography of one chosen poet. In adddition, students will include several of their own original poems. The document is created as a brochure and is meant to be printed front/back and then folded. 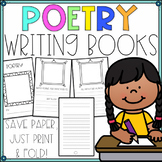 In this poetry unit, your students will create a beautiful booklet with 8 different poems. 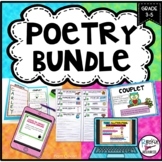 This 17-page package has everything you need to teach poetry as it includes an unit plan, hand-outs, examples and assessment criteria. This is a rubric to be used to assess students' poetry booklet they create using their original poems. 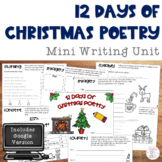 Create a fun and creative poetry booklet in your classroom. 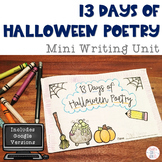 Teach different types of figurative language and poems including: acrostic, cinquain, color poem, haiku, shape poem, and limerick. Spend the unit encouraging your students to use descriptive words and finding new ways to communicate. 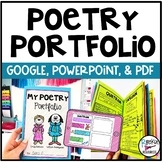 This poetry booklet project gives students the opportunity to write original poetry and to include poems from authors for analysis of literary elements. It also instructs students to incorporate poetic elements in their original creations.